New book, 374 pages. Adulteress? Sorceress? Immoral Temptress? 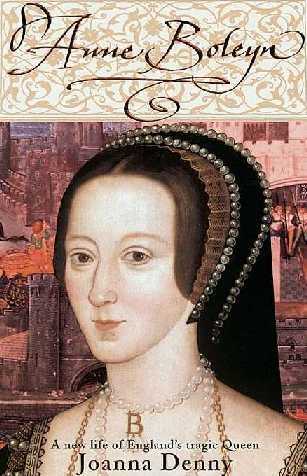 No English Queen has been so persistently vilified as Anne Boleyn. Even after her execution in May 1536 - on trumped-up charges of adultery - the portrait that has come down to us is the one drawn by her enemies. Joanna Denny's compelling new biography of Anne presents a radically different picture of her - a highly literate, accomplished and intellectual woman, and a devout protagonist of the Protestant faith. It was Anne who played the key role in separating England from the Church of Rome. Her tragedy was that her looks and vivacious charm attracted the notice of a violent and paranoid King Henry - and trapped her in the vicious politics of the Tudor court.Joanna Denny's enthralling book plunges the reader into the fascinating, turbulent time that changed England forever. This item was added to our catalog on Sunday 07 January, 2007.